Stepes is a global game changer for how translation can be done. We’re looking forward to sharing how Stepes can transform the language. Stepes, the world’s first chat-based mobile translation platform, will be featured at the next Localization World conference to be held in Tokyo. The event highlights Stepes applications in the life sciences and gaming industry. Localization World (LocWorld) is the largest localization event in the world and takes place annually on three continents. The LocWorld events provide the localization industry’s top experts and leaders an opportunity to share insights into the newest trends and breakthroughs affecting translation today. Stepes will be featured on panels on both the life sciences and the gaming industry. Both industries have historically suffered from a lack of strong translation because the highly technical nature of their content. However, Stepes’ intuitive mobile translation platform enables more bilingual subject matter experts to participate in the translation process, leading to better quality translations for industries like the life sciences, gaming, and many more. Stepes has been expanding its international outreach in recent months. In February, Stepes was presented to investors and entrepreneurs at the Venture Summit conference in Mountain View, California. In March, Stepes was picked as the translation platform for the White House project Let Girls Learn. To learn more about Stepes, please go to http://www.stepes.com. Stepes is also available for download from the iTunes and Google Play stores. 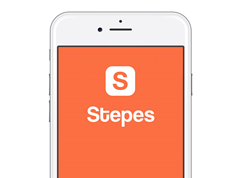 Stepes (pronounced: /steps/) is the world’s first chat-based translation app. Stepes unlocks on-demand and accurate human translation services not yet witnessed from a mobile device. By seamlessly connecting businesses with the world’s linguists through its translation eco-system, Stepes helps break down language barriers between businesses and their customers, and among nations and people. The word Stepes stands for Social Translation Experiment Project and Eco System. Recent studies have found Stepes is also the place where the world’s 400 major languages originated from some 5,000 years ago.